REPLY TO GOVERNMENT’S OPPOSITION TO MOTION TO COMPEL DISCOVERY is available to be read online (link below). addresses only the Government’s Opposition as it relates to Rule 16 discovery." - extract from the document attached. 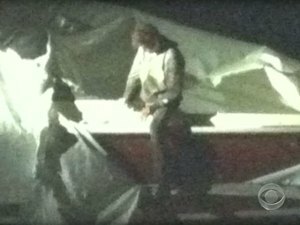 DISCUSS: Dzhokhar Tsarnaev's "boat confession"
A month after the capture of Dzhokhar Tsarnaev, the FBI released a new claim, stating that they had found a "confession letter", supposedly written by Dzhokhar Tsarnaev, while according to them laying severly injured in the boat (photos show most of the injuries occured while he was trying to surrender - see last post). 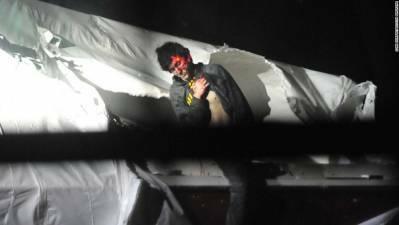 Discuss: Dzhokhar Tsarnaev - who caused the wounds? 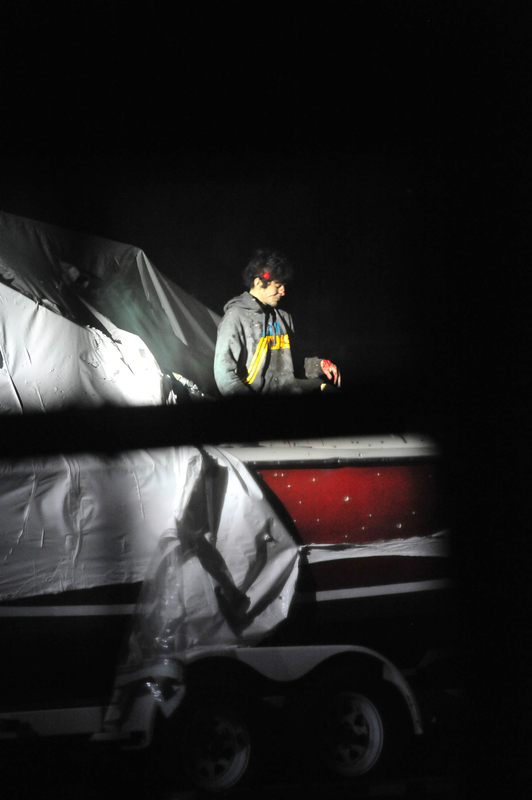 FBI claimed Dzhokhar Tsarnaev was "Apprehended 'covered in blood and hiding in a covered boat in Watertown by homeowner who ventured out after curfew was lifted”. We apologize for the lack of discussion posts lately, but we are back now. 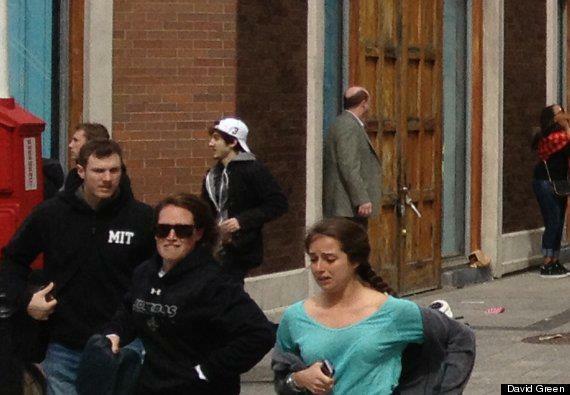 And today it is time to discuss Dzhokhar Tsarnaev. 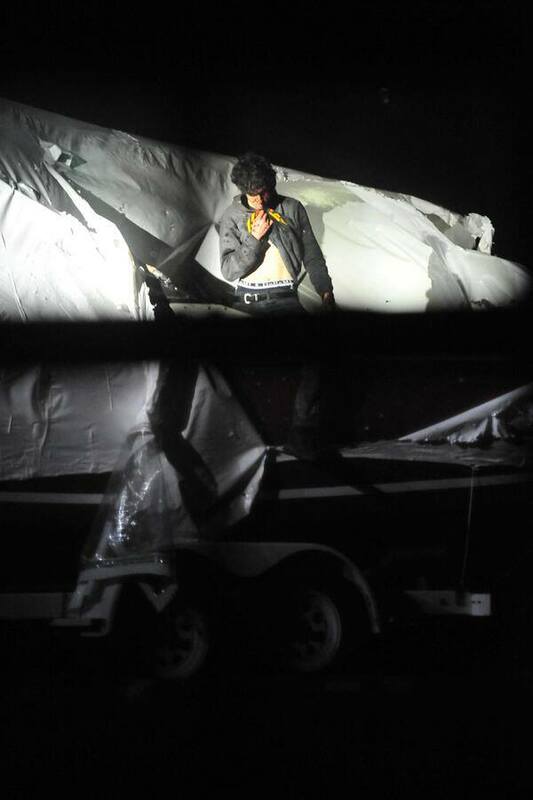 19th April, 2013, the day of the capture of second suspect, Dzhokhar Tsarnaev. 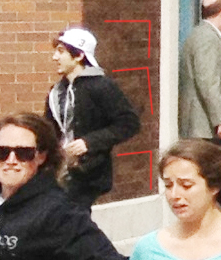 Within 48 hours it was revealed how badly Dzhokhar was injured, also confirmed by Zubeidat Tsarnaeva. 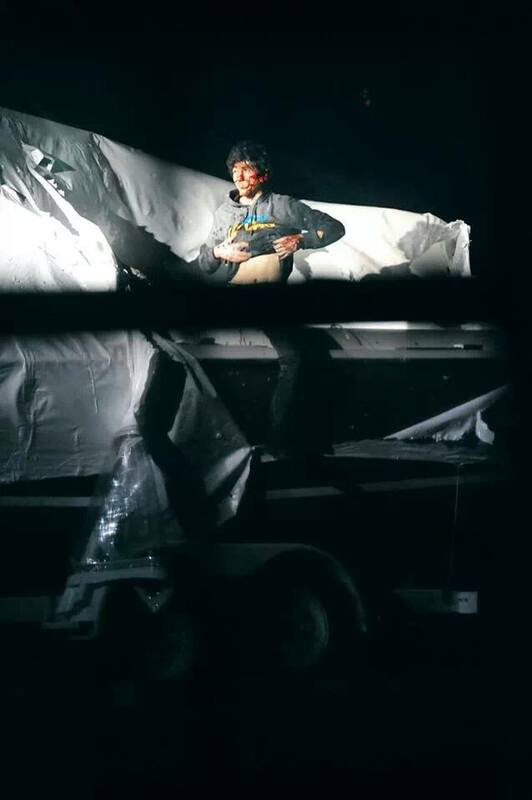 His wounds made a total of 16, where it was revealed that he was shot in his mouth, one ear now being deaf and shot multiple times on his legs and arms, barely able to talk, write or walk. 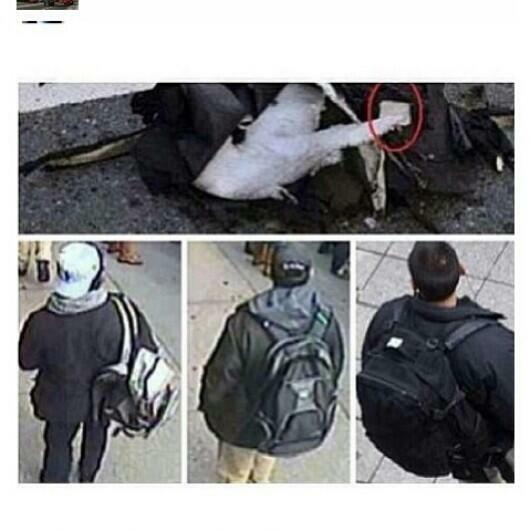 Our last post showed three different stories provided, by the FBI, police and witnesses, all contradicting each other. Click >here< to see the article. 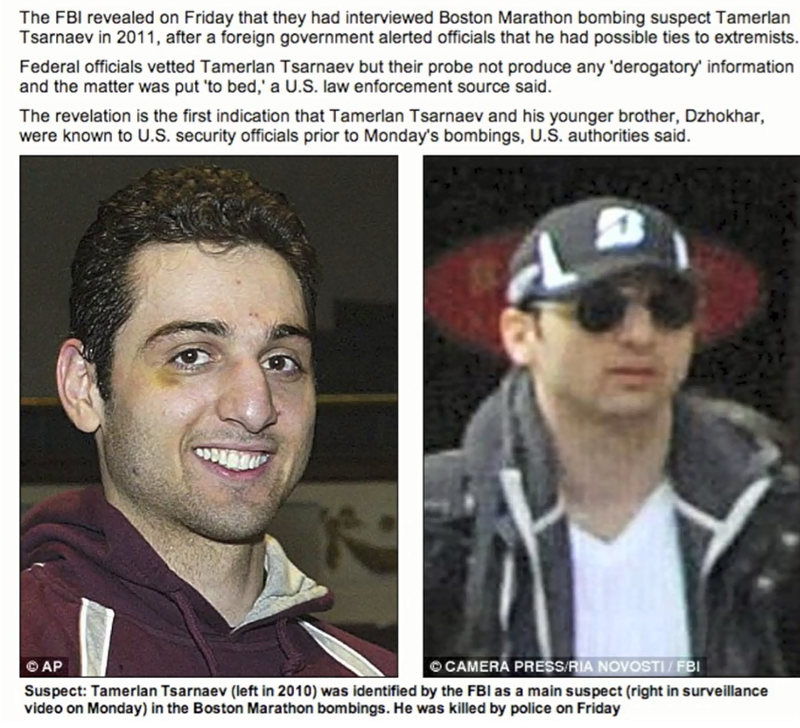 April 19th, 2013, news reports went non - stop about the ongoing chase after the Tsarnaev brothers. 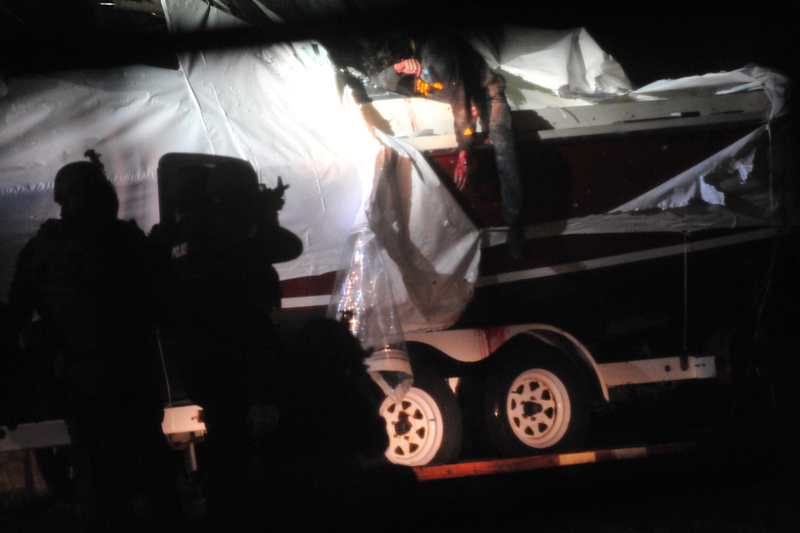 The police states that when they cornered the brothers they exchanged fires. 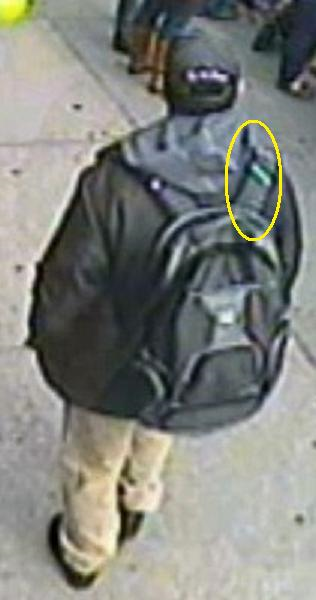 The shootout ended up leaving one of the brothers, Tamerlan Tsarnaev (26), dead. 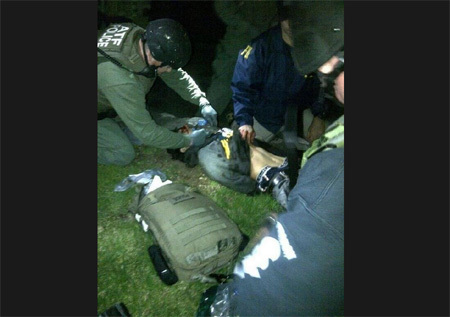 "Police are said to have shot and apprehended Suspect 1, who was then rushed to Beth Israel Medical Center. 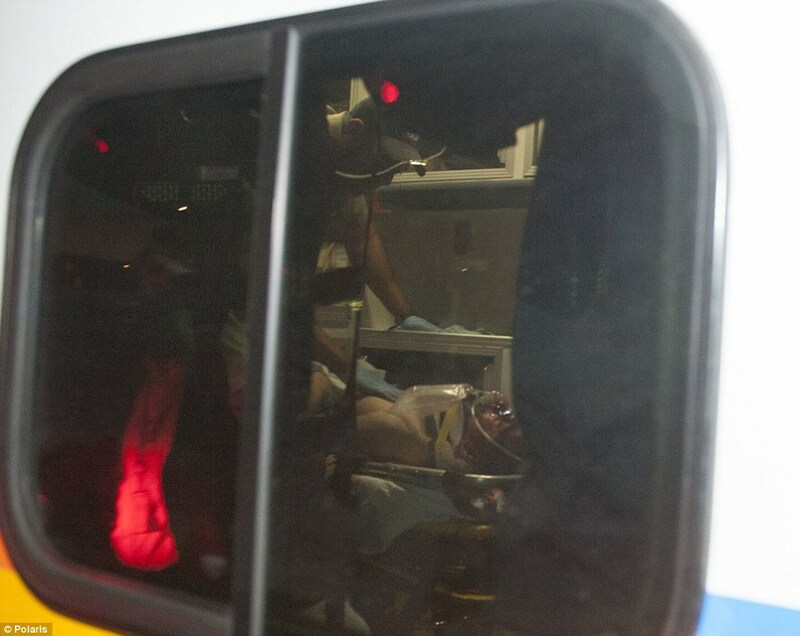 He arrived at the hospital under cardiac arrest with multiple gunshot wounds and blast-like injuries to his chest." After the identified suspects of the Boston Marathon bombings, Tamerlan and Dzhokhar Tsarnaev, it was reported that the brothers were also linked to the 7/11 robbery. 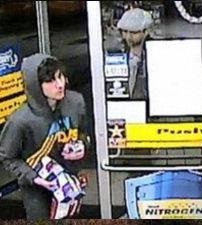 The police released a images, showing Dzhokhar Tsarnaev entering the gas station with Tamerlan behind him, allegedly robbing 7/11. It was later confirmed that the brothers were NOT the robbers and were no longer suspects in the robbers. 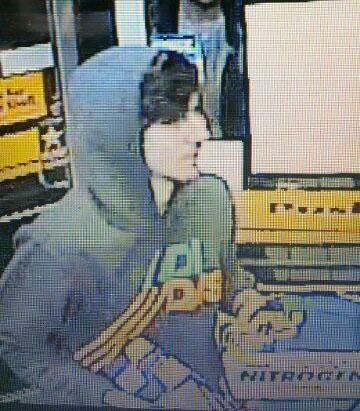 Another important fact is that they went to Shell gas station, not 7/11. 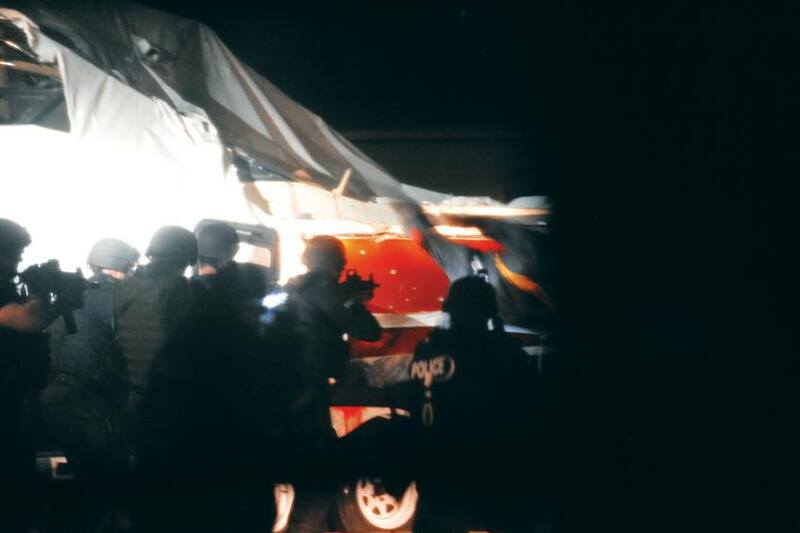 Does the FBI have the right to withold vital information? 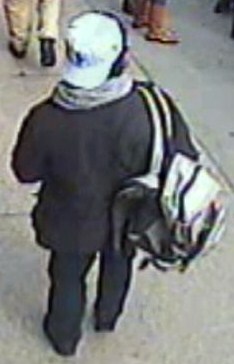 April 19th photos of the alleged bombers were released for the public to identify and locate the suspects. 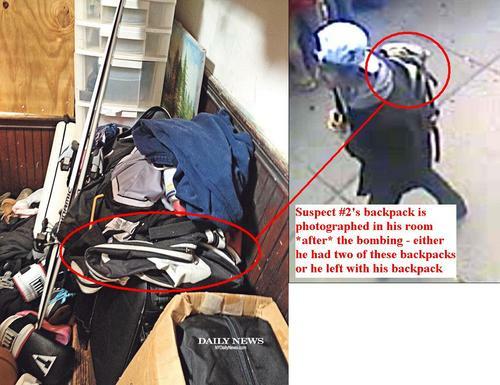 FBI said when releasing the photos: "For clarity, these images should be the only ones -- and I emphasize the only ones -- that the public should view to assist us (...)." 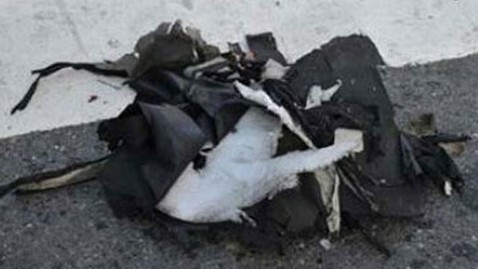 They were later identified by the Law Enforcement, who later admitted that they knew Tamerlan prior to this and had been in contact with him for 3 years, at least. 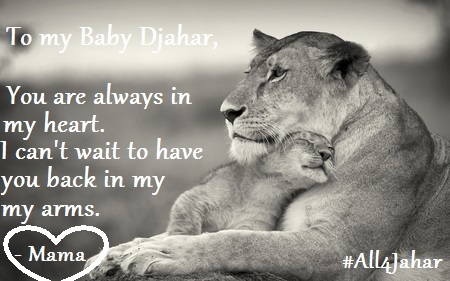 Months have passed and questions remains unanswered and silenced. We have decided to have daily posts, questioning the statements provided to the public by the authorities, that have been contradicted by their own or by other witnesses. We are going to go deeper into these details and let you discuss and share your views, answering our critical questions. It is really important that you share your views and share it with each other.